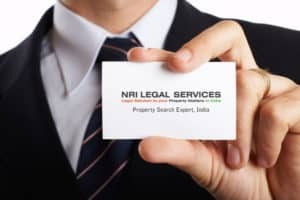 People are often found to be in need of Property Management Lawyers to help them in India with land that they have either inherited or purchased. Whether there are issues related to ownership or resolution of some other such matter, people seek legal advice that could help them come up with feasible solutions. Ownership records are not always easy to trace out and often, the registry details have been either lost or not been recorded properly – hence they often feel the need of seeking advice. The single most important requirement is to have the status of the title clearly established through updated documents. In most cases these papers are either lost or have not been updated for a long time, resulting in damage to their property rights in India. In these matters, one has to be prepared that he will be faced with some common challenges. Even if all records are now visible online, the documentation is most often insufficient for them to get an in-depth view of their exact share or valuation. Online documents obtained are mostly in vernacular languages – understanding and translating them into English is a task in itself. The extent of share cannot be fully comprehended through any ownership document available online. For residential, commercial and urban the details are mostly not available online and have to be applied for and obtained manually. One would have to look for the desired information from the offices of the appropriately concerned authorities under which the registration has been done. If a fraud like illegal transfer or an invalid sale or exchange has been committed any time in the past, one needs to apply for the older record to verify how and when that fraud was committed. Such older documents are applied for and obtained through legal experts. Sometimes formal applications have to be made through property management lawyers under the Right to Information Act (RTI) to verify the accuracy of the papers. Friends and relatives cannot help much and even if they do assist you to procure some information you would still need experts to decipher, interpret and transmit the information in layman’s language. Another challenge that one faces in India is that most records have changed addresses and cannot be identified by the older addresses that clients have. A common problem is that registered sales deeds which are the primary document of the title are not available either with clients or cannot be found in the archives of the relevant offices or municipal authorities. A subsequent sequel to this is to go then through courts to establish Title Declaration. Everyone essentially seeks a soothing and efficient system – Somebody to relate to their issues, somebody to understand the nuances of both their needs and their limitations, somebody who just knows and does what needs to be done to facilitate the processes; somebody who can understand that it is not within their means or understanding to handle the required paperwork. Neither do they have the time, nor is it possible for them to travel back and forth to sort out such issues. Why our property management lawyers? Simplification of all details about the land registry and title deeds so that the client can comprehend things clearly. Giving the client a comprehensive report so that he, as the owner gets information about both the area and valuation of his land. A systematic approach under the guidance of the company property management lawyers related to search, registry, title and then, getting the property ownership documents and records in order. We ensure that our clients get accurate legal advice for property related matters at every stage of the process with the help of Property Management Lawyers in Punjab, Gujarat and Delhi in India.